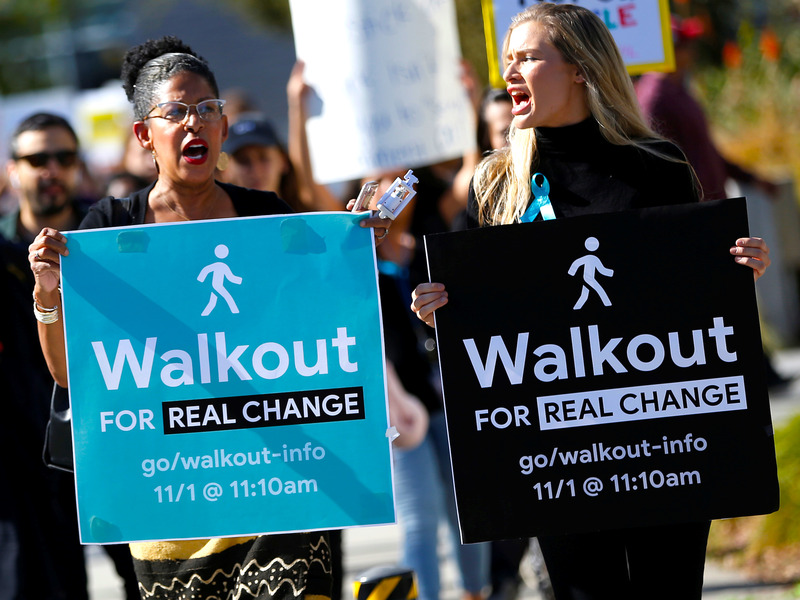 The Google walkout protesters have commended the company’s swift action on sexual harassment. CEO Sundar Pichai set out a number of changes on Thursday, including abolishing forced arbitration in cases of sexual misconduct. The Google walkout campaigners have spoken after the company announced a series of measures designed to address the mass staff protest last week over sexual harassment. CEO Sundar Pichai circulated a memo on Thursday spelling out the steps Google would take, including abolishing forced arbitration in cases of sexual misconduct and introducing new rules for drinking at work. In a Medium blog post, the Google Walkout For Real Change group praised Google for taking swift action on the issue of sexual harassment. „We commend this progress, and the rapid action which brought it about,“ they said. They also said Google’s Chief Diversity Officer, Danielle Mastrangel Brown, should be promoted and report directly to Pichai. An employee representative should also sit on the Google board, they added. Organizers said they „look forward“ to meeting Google to discuss their demands. Pichai’s changes were detailed in full in a three-page document, while the original demands made by the Google Walkout For Real Change group are listed here.